On March 19, 2019, after five days of deliberations, a jury of 6 people unanimously answered YES to the question: Did Mr. Hardeman prove by a preponderance of the evidence that his exposure to Roundup was a substantial factor in causing his non-Hodgkin’s lymphoma? Hardeman v. Monsanto is the second trial in the United States of a victim with non-Hodgkin’s lymphoma following his use of Roundup, and it is the second time that a unanimous jury has held Roundup responsible for the occurrence of this lymphoma, after the verdict in the Dewayne Johnson v. Monsanto case. This is a considerable hope for the thousands of victims in trials against Monsanto in the United States (more than 11,000). A third case, Pilliod v. Monsanto, is scheduled to begin in another California court on March 28. Following yesterday’s verdict, the value of Bayer’s shares, which bought Monsanto last year, fell by more than 10%. This is also good news for CRIIGEN, whose request for a ban on Roundup 360 pro in France was granted by the Lyon Administrative Court on 15 January 2019 (CRIIGEN v. ANSES), but which the ANSES appealed on March 15. All this is happening the day when the week for alternatives to pesticides is starting. But the Hardeman v. Monsanto case is not over. Indeed, at Monsanto’s request, Judge Vince Chhabria had agreed to bifurcate the trial, i.e. to hold it in two phases. 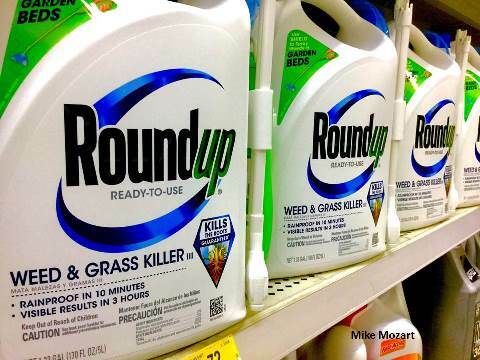 The jury had first to answer the question of causality (can it be said that the use of Roundup was a substantial contributor to the occurrence of Mr. Hardeman’s non-Hodgkin’s lymphoma? ), and only if there was unanimity on this question, could the court consider in a second phase whether Monsanto deliberately misled the public and regulatory agencies about the dangerousness of its product. This second phase, which should be much tougher for the multinational agrochemical company because it will allow the presentation to the jurors of the “Monsanto papers” that show the company’s senseless tricks to market what has become the most popular herbicide in the world, begins on March 20, with the same jury . It is during this phase that Monsanto’s liability and the damages due to Mr. Hardeman will be assessed. Justice Pesticides will follow this second phase carefully and sends all its encouragement to Mr. Hardeman and his brilliant lawyers Aimee Wagstaff and Jennifer Moore.